The tremendous number of shares held today as against the original purchases in 1914 is brought about by Section 5 of the original Federal Reserve Act which called for a member bank to buy and hold stock in the district Federal Reserve Bank equal to 6% of its capital and surplus. Currently, shares held by five of the above named banks comprise 53% of the total Federal Reserve Bank of New York stock. An examination of the major stockholders of the New York City banks shows clearly that a few families, related by blood marriage, or business interests, still control the New York City banks which, in turn, hold the controlling stock of the Federal Reserve Bank of New York. It is notable that three of the banks holding Federal Reserve Bank of New York stock, in the amount of 270,893 shares, are subsidiaries of foreign banks. J. Henry Schroder Bank and Trust is listed by Standard and Poors as a subsidiary of Schroders Ltd. of London. The National Bank of North America is a subsidiary of the National Westminster Bank, one of London’s "Big Five". European American Bank is a subsidiary of the European American Bank, Bahamas, LTD.
Roger Alloo, Paul-Emmanuel Janssen, and Maurice Laure of the Societe Generale de Banque (Brussels, Belgium). E.C. Knuth, in The Empire of the City, priv. printed, 1946, p. 27, refers to "the Bank of England, the full partner of the American Administration in the conduct of the financial affairs of all the world" and cites the Encyclopaedia Americana, 1943 edition. Exchange, in the international financial world, means the transactions in money or securities, or simply, the "exchange" of the values of these securities. It is necessary that this "exchange" take place where the values can be established, and this place is the "City" in London. "The Consolidated Act of 1757 consolidated the debts of the nation of England at 3%, which were kept in an account at the Bank of England and is the great bulwark of its deposits." By ostentatiously "dumping" "Consols" on the London Exchange after the Battle of Waterloo, in a pretended panic, Nathan Meyer Rothschild then secretly bought up the Consols sold in the panic by other holders at a low rate, and became the largest holder of Consols, and thus won control of the Bank of England in 1815. Although a Labor government nationalized the Bank of England in 1946, The Great Soviet Encyclopaedia points out (vol. I, p. 490c) that the Bank of England continues to pay 12% dividends per annum, just as it had done prior to the nationalization. "In practice, the governors of the Bank of England have not hesitated to criticize and bring pressure on the government in public." The interest rate set by the Bank of England is known as "the Bank rate", and it is a controlling factor in interest rates throughout the world, although rates in other countries may be higher or lower than this "Bank rate". The Bank of England manages the government debt, and is called upon to arbitrate in political affairs. It served as the intermediary with the Iran revolutionaries in negotiating for the return of the American hostages--a recent example. We should not be surprised that the present Governor of the Bank of England, Sir Gordon Richardson is a prominent international financial figure, who appears elsewhere in these pages because of his connection with the J. Henry Schroder Wagg in London from 1962 to 1972, when he became Governor of the Bank of England. 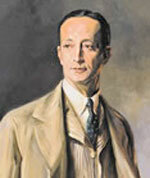 He was also director of J. Henry Schroder Co., New York, and Schroder Banking Corp., New York. He also serves as director of Rolls Royce and Lloyd’s Bank. Although he resides in London, he maintains a home in New York, and is listed in the current Manhattan directory simply as "G. Richardson, 45 Sutton Place S.", although a prior listing showed him at 4 Sutton Place. Sutton Place was developed as a fashionable address for the international set by Bessie Marbury, whom we earlier cited for her connection with the Morgan family and the Roosevelts. The present directors of the Bank of England (1982) include Leopold de Rothschild of N.M. Rothschild & Sons, Sir Robert Clark, chairman of Hill Samuel Bank, the most influential bank after Rothschilds, John Clay, of Hambros Bank, and David Scholey, of Warburg Bank, and joint chairman of S.C. Warburg Co.
"The more cosmopolitan banks with foreign experts and directors, such as Warburgs, Montagus, Rothschilds and Kleinworts, had also discovered a huge new source of profits in the market for Eurodollars which began in the late fifties and multiplied through the 60s . . . British bankers themselves controlled relatively small funds, but they knew how to make money out of other people’s money." The Eurodollar market, a new development in "created money" is monopolized by the above firms. "Today, together with allies on the island of Manhattan (Britain’s most important piece of real estate), the British Empire controls the entire $1.5 trillion Eurodollar financial market, another $300-$500 billion in the Cayman Islands, Bahamas, and $50-$100 billion in the Hong-Kong Singapore "Asia-dollar market"... Consider the $1.5 trillion Eurodollar market an "outlaw" market in the U.S. dollars over which this nation has no control. Here control and profits are overwhelmingly in the hands of London banks, who set the terms of lending and the interest rate on this mass of American dollars in relation to the London Interbank Borrowing Rate (LIBOR)... U.S. banks like Citibank (New York City), on whose board of directors sits the powerful British financier, Lord Aldington, collaborate openly in this market. At the same time, British banks including the known central bank for the world’s drug trade, the Hong Kong and Shanghai Bank, pour into America to devour U.S. banks. Not only the financial power, but also the legal power, has remained seated in Britain. The Washington Post commented on June 18, 1983 that after the American Revolution, all the old laws remained in effect in the new United States: Some of these laws of "English common law" dated back to 1278, long before America was discovered. "We stayed at the embassy residence, the old J.P. Morgan mansion, 14 Prince’s Gate, facing Hyde Park." "My own attitude had long been, and was known to have been, pro-British." No one commented on an American Secretary of State’s open bias in favor of England. The Federal Reserve "created" money is not used only for financial matters; this money is also used to maintain the bankers’ control of every aspect of political, economic and social life. It is used to bankroll the enormous expenditures of political candidates, the swollen budgets of universities, the huge outlays required to start newspapers or magazines, and a vast array of foundations, "think-tanks" and other instruments of mind control. Few Americans know that almost every development in psychology in the United States in the past sixty-five years has been directed by the Bureau of Psychological Warfare of the British Army. A short time ago, the present writer learned a new name, The Tavistock Institute of London, also known as the Tavistock Institute of Human Relations. "Human relations" covers every aspect of human behavior, and it is the modest goal of the Tavistock Institute to obtain and exercise control over every aspect of human behavior of American citizens. A cadre of highly trained specialists in psychological warfare was built up in total secrecy. In fifty years, the name "Tavistock Institute’ appears only twice in the Index of the New York Times, yet this group, according to LaRouche and other authorities, organized and trained the entire staffs of the Office of Strategic Services (OSS), the Strategic Bombing Survey, Supreme Headquarters of the Allied Expeditionary Forces, and other key American military groups during World War II. During World War II, the Tavistock Institute combined with the medical sciences division of the Rockefeller Foundation for esoteric experiments with mind-altering drugs. The present drug culture of the United States is traced in its entirety to this Institute, which supervised the Central Intelligence Agency’s training programs. The "LSD counter culture" originated when Sandoz A.G., a Swiss pharmaceutical house owned by S.G. Warburg & Co., developed a new drug from lysergic acid, called LSD. James Paul Warburg (son of Paul Warburg who had written the Federal Reserve Act in 1910), financed a subsidiary of the Tavistock Institute in the United States called the Institute for Policy Studies, whose director, Marcus Raskin, was appointed to the National Security Council. 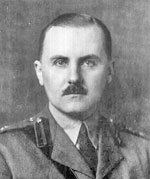 James Paul Warburg set up a CIA program to experiment with LSD on CIA agents, some of whom later committed suicide. This program, MK-Ultra, supervised by Dr. Gottlieb, resulted in huge lawsuits against the United States Government by the families of the victims. The English Tavistock Institute has not restricted its activities to left-wing groups, but has also directed the programs of such supposedly "conservative" American think tanks as the Herbert Hoover Institute at Stanford University, Heritage Foundation, Wharton, Hudson, Massachusetts Institute of Technology, and Rand. The "sensitivity training" and "sexual encounter" programs of the most radical California groups such as Esalen Institute and its many imitators were all developed and implemented by Tavistock Institute psychologists. One of the rare items concerning the Tavistock Institute appears in Business Week, Oct. 26, 1963, with a photograph of its building in the most expensive medical offices area of London. The story mentions "the Freudian bias" of the Institute, and comments that it is amply financed by British blue-chip corporations, including Unilever, British Petroleum, and Baldwin Steel. According to Business Week, the psychological testing programs and group relations training programs of the Institute were implemented in the United States by the University of Michigan and the University of California, which are hotbeds of radicalism and the drug network. 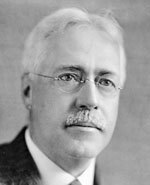 Senator from Rhode Island; head of National Monetary Commission; his daughter Abby Aldrich married John D. Rockefeller, Jr.; he became the grandfather of his namesake. Nelson Aldrich Rockefeller, as well as the present David Rockefeller and Laurence Rockefeller. Woodrow Wilson’s Secretary of State, three times losing presidential candidate of the Democratic Party, in 1896, 1900, and 1908, and head of the Democratic Party. 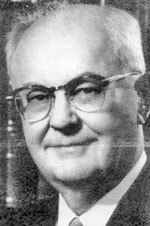 A prominent attorney in Grand Rapids, Cincinnati, and New York, Crozier wrote eight books on legal and monetary problems, focusing on his opposition to the supplanting of Constitutional money by the corporation currency printed by private firms for their profit. Born in San Antonio, Texas, son of Samuel Dillon and Bertha Lapowitz. Harvard, 1905. Married Anne Douglass of Milwaukee. 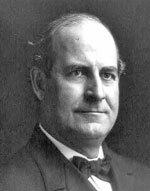 His son, C. Douglas Dillon (later Secretary of the Treasury, 1961-65) was born in Geneva, Switzerland in 1909 while they were abroad. Dillon met William A. Read, founder of the Wall Street bond broker William A. Read and Company, through introduction by Harvard classmate William A. Phillips in 1912 and Dillon joined Read’s Chicago office in that year. He moved to New York in 1914. 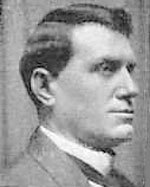 Read died in 1916, and Dillon bought a majority interest in the firm. During World War 1, Bernard Baruch, chairman of the War Industries Board, (known as the Czar of American industry) asked Dillon to be assistant chairman of the War Industries Board. 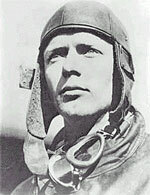 In 1920, William A. Read & Company name was changed to Dillon, Read & Company. 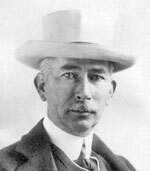 Dillon was director of American Foreign Securities Corporation, which he had set up in 1915 to finance the French Government’s purchases of munitions in the United States. His righthand man at Dillon Read, James Forrestal, became Secretary of the Navy, later Secretary of Defense, and died under mysterious circumstances at a Federal hospital. In 1957, Fortune Magazine listed Dillon as one of the richest men in the United States, with a fortune then estimated to be from $150 to $200 million. Appointed by President Reagan to succeed Paul Volcker as Chairman of the Board of Governors of the Federal Reserve System in 1987. 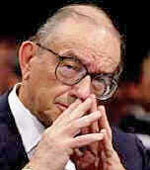 Greenspan had succeeded Herbert Stein as chairman of the President’s Council of Economic Advisors in 1974. 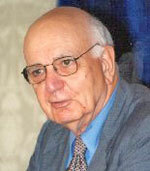 He was the protégé of former chairman of the Board of Governors, Arthur Burns of Austria (Bernstein). 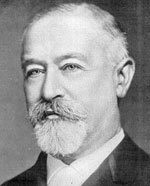 Burns was a monetarist representing the Rothschild’s Viennese School of Economics, which manifested its influence in England through the Royal Colonial Society, a front for Rothschilds and other English bankers who stashed their profits from the world drug trade in the Hong Kong Shanghai Bank. The staff economist for the Royal Colonial Society was Alfred Marshall, inventor of the monetarist theory, who, as head of the Oxford Group, became the patron of Wesley Clair Mitchell, who founded the National Bureau of Economic Research for the Rockefellers in the United States. Mitchell, in turn, became the patron of Arthur Burns and Milton Friedman, whose theories are now the power techniques of Greenspan at the Federal Reserve Board. Greenspan is also the protégé of Ayn Rand, a weirdo who interposed her sexual affairs with guttural commands to be selfish. Rand was also the patron of CIA propagandist William Buckeley and the National Review. Greenspan was director of major Wall Street firms such as J.P. Morgan Co., Morgan Guaranty Trust (the American bank for the Soviets after the Bolshevik Revolution of 1917), Brookings Institution, Bowery Savings Bank, the Dreyfus Fund, General Foods, and Time, Inc. Greenspan’s most impressive achievement was as chairman of the National Commission on Social Security from 1981-1983. He juggled figures to convince the public that Social Security was bankrupt, when in fact it had an enormous surplus. These figures were then used to fasten onto American workers a huge increase in Social Security withholding tax, which invoked David Ricardo’s economic dictum of the iron law of wages, that workers could only be paid a subsistence wage, and any funds beyond that must be extorted from them forcibly by tax increases. 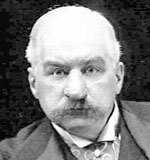 As a partner of J.P. Morgan Co. since 1977, Greenspan represented the unbroken line of control of the Federal Reserve System by the firms represented at the secret meeting on Jekyll Island in 1910, where Henry P. Davison, righthand man of J.P. Morgan, was a key figure in the drafting of the Federal Reserve Act. Within days of taking over as chairman of the Federal Reserve Board, Greenspan immediately raised the interest rate on Sept. 4, 1987, the first such increase in three years of general prosperity, and precipitated the stock market crash of Oct., 1987, Black Monday, when the Dow Jones average plunged 508 points. Under Greenspan’s direction, the Federal Reserve Board has steadily nudged the United States deeper and deeper into recession, without a word of criticism from the complaisant members of Congress. Served in Senate from Wisconsin 1905-25. Led agrarian reformers in opposing Eastern bankers and their plans for the Federal Reserve Act. 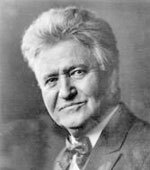 Ran for President in 1924 on Progressive-Socialist ticket. Appointed Governor of the Federal Reserve Board May 21, 1990, David Mullins’ term runs to Jan. 31, 1996. He was recently nominated to serve as Vice Chairman of the Federal Reserve Board, and served as Assistant Secretary of the Treasury for Domestic Finance 1988-90, receiving the department’s highest award, the Alexander Hamilton Award, for his service in such programs as synthetic fuels, federal finance, Farm Credit Assistance Board, and author of the President’s Plan for rescuing the savings and loan institutions. He is a distant cousin of the author, descended from John Mullins, the first recorded settler in the western area of Virginia, hero of the battle of King’s Mountain, and recipient of a 200 acre grant of land for his service in the American Revolution. Served in Congress 1903-1913. Democrat from Louisiana. Chairman of House Banking and Currency Committee. Chairman of "Pujo Hearings" Subcommittee, 1912. Head of the Bank of England since 1973. Chairman J. Henry Schroder Wagg, London, 1962-72; director of J. Henry Schroder Banking Corporation, New York; Schroder Banking Corporation, New York; Lloyd’s Bank, London; Rolls Royce. 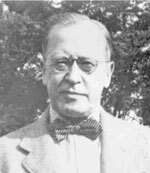 A partner of the law firm of Guggenheimer and Untermyer of New York, who conducted the "Pujo Hearings" of the House Banking and Currency Committee in 1912. Counsel for Rogers and Rockefeller in many large suits against F. Augustus Heinze, Thomas W Lawson and others. Earned a single fee of $775,000 for handling merger of Utah Copper Company. Reported in The New York Times May 26, 1924 as urging immediate recognition of Soviet Russia at Carnegie Hall meeting. Untermyer’s prestige and power is illustrated by the fact that this front page obituary in The New York Times covered six columns. His listing in Who’s Who was the longest for thirteen years. 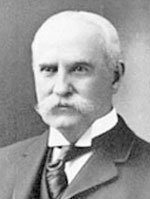 Assistant Secretary of Treasury 1897-1901; won prestige for financing Spanish American War by floating $200,000,000 in bonds during his incumbency for what is known as "National City Bank’s War" President of National City Bank 1909-19. 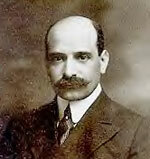 One of the original Jekyll Island group who wrote Federal Reserve Act in November, 1910. No mention of this important fact is made in extensive obituary in The New York Times, June 30, 1937. Author of the definitive study The Strangest Friendship in History, Woodrow Wilson and Col. House, Liveright, 1932. A leading poet of the early 1900’s, reviewed on the front page of The New York Times Book Review, and known as the leading German-American citizen of the United States. Current Biography 1940-1983 H.W. Wilson Co., N.Y.
International Index to Periodicals 1920-1965, H.W. Wilson Co., N.Y.
Who’s Who in America 1890-1983, A.N. Marquis Co.
Who Was Who In America 1607-1906, A.N. Marquis Co.
Who’s Who in the World 1972-1983, A.N. Marquis Co.
Who’s Who in Finance and Industry 1936-1969, A.N. Marquis Co.
Federal Reserve Directors: A Study of Corporate and Banking Influence. Staff Report, Committee on Banking, Currency and Housing, House of Representatives, 94th Congress, 2d Session, August, 1976. The Intimate Papers of Col. House, edited by Charles Seymour, 4 v. 1926-1928, Houghton Mifflin Co. Letters and Friendships of Sir Cecil Spring-Rice Tragedy and Hope, Carroll Quigley, Macmillan, N.Y.
Wilson, Arthur Link (5 vol.) Princeton University Press, Princeton, N.J. Audit of the Federal Reserve System, Hearings Before the House Banking and Currency Committee, 1975. Q: What is the Federal Reserve System? It is the dominant financial power of the country which harbors it. It is entirely private-owned, although it seeks to give the appearance of a governmental institution. It has the right to print and issue money, the traditional prerogative of monarchs. It is set up to provide financing for wars. It functions as a money monopoly having total power over all the money and credit of the people. Q: When Congress passed the Federal Reserve Act on December 23, 1913, did the Congressmen know that they were creating a central bank? "An Act to provide for the establishment of Federal reserve banks, to furnish an elastic currency, to afford means of rediscounting commercial papers, to establish a more effective supervision of banking in the United States, and for other purposes." The unspecified "other purposes" were to give international conspirators a monopoly of all the money and credit of the people of the United States; to finance World War I through this new central bank, to place American workers at the mercy of the Federal Reserve system’s collection agency, the Internal Revenue Service, and to allow the monopolists to seize the assets of their competitors and put them out of business. Q: Is the Federal Reserve system a government agency? "Federal reserve banks, including the capital and surplus therein, and income derived therefrom, shall be exempt from Federal, state and local taxation, except taxes on real estate." Government buildings do not pay real estate tax. Q: Are our dollar bills, which carry the label "Federal Reserve notes" government money? "for the purposes of making advances to Federal reserve banks... The said notes shall be obligations of the United States. They shall be redeemed in gold on demand at the Treasury Department of the United States in the District of Columbia." Tourists visiting the Bureau of Printing and Engraving on the Mall in Washington, D.C. view the printing of Federal Reserve notes at this governmental agency on contract from the Federal Reserve System for the nominal sum of .00260 each in units of 1,000, at the same price regardless of the denomination. These notes, printed for a private bank, then become liabilities and obligations of the United States government and are added to our present $4 trillion debt. The government had no debt when the Federal Reserve Act was passed in 1913. Q: Who owns the stock of the Federal Reserve Banks? A: The dynastic families of the ruling World Order, internationalists who are loyal to no race, religion, or nation. They are families such as the Rothschilds, the Warburgs, the Schiffs, the Rockefellers, the Harrimans, the Morgans and others known as the elite, or "the big rich". Q: Can I buy this stock? A: No. The Federal Reserve Act stipulates that the stock of the Federal Reserve Banks cannot be bought or sold on any stock exchange. It is passed on by inheritance as the fortune of the "big rich". Almost half of the owners of Federal Reserve Bank stock are not Americans. Q: Is the Internal Revenue Service a governmental agency? "The moneys held in the general fund of the Treasury may be ....deposited in Federal reserve banks, which banks, when required by the Secretary of the Treasury, shall act as fiscal agents of the United States." Q: Does the Federal Reserve Board control the daily price and quantity of money? A: The Federal Reserve Board of Governors, meeting in private as the Federal Open Market Committee with presidents of the Federal Reserve Banks, controls all economic activity throughout the United States by issuing orders to buy government bonds on the open market, creating money out of nothing and causing inflationary pressure, or, conversely, by selling government bonds on the open market and extinguishing debt, creating deflationary pressure and causing the stock market to drop. Q: Can Congress abolish the Federal Reserve System? "The right to amend, alter or repeal this Act is expressly reserved." This language means that Congress can at any time move to abolish the Federal Reserve System, or buy back the stock and make it part of the Treasury Department, or to altar the System as it sees fit. It has never done so. Q: Are there many critics of the Federal Reserve beside yourself? A: When I began my researches in 1948, the Fed was only thirty-four years old. It was never mentioned in the press. Today the Fed is discussed openly in the news section and the financial pages. There are bills in congress to have the Fed audited by the Government Accounting Office. Because of my expose, it is no longer a sacred cow, although the Big Three candidates for President in 1992, Bush, Clinton and Perot, joined in a unanimous chorus during the debates that they were pledged not to touch the Fed. Q: Have you suffered any personal consequences because of your expose of the Fed? A: I was fired from the staff of the Library of Congress after I published this expose in 1952, the only person ever discharged from the staff for political reasons. When I sued, the court refused to hear the case. The entire German edition of this book was burned in 1955, the only book burned in Europe since the Second World War. I have endured continuous harassment by government agencies, as detailed in my books "A WRIT FOR MARTYRS" and "MY LIFE IN CHRIST". My family also suffered harassment. When I spoke recently in Wembley Arena in London, the press denounced me as "a sinister lunatic". Q: Does the press always support the Fed? "The current Fed structure is difficult to justify in a democracy. It’s an oddly undemocratic institution. Its organization is so dated that there is only one Reserve bank west of the Rockies, and two in Missouri... Having a central bank with a monopoly over the issuance of the currency in a democratic society is a very difficult balancing act."